All children are musical – and music classes also help a child’s personal and social development and other learning skills. Learning to play instruments improves a child’s confidence and co-operation, develops their physical dexterity, improves motor skills and co-ordination, and sharpens their awareness of space and those around them. 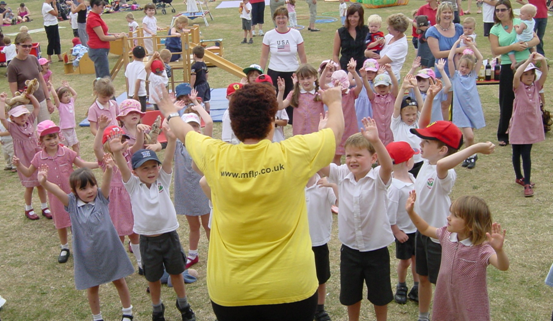 Singing assists language development and vocabulary, and maths skills are helped through learning about rhyme and beat and the sequence of number. Music is perhaps most important of all in a child’s creative development. They develop the ability to use their imagination, and to observe the world around them through art, music, dance, stories and imaginative play. Using music to express their emotions is one of the most important reasons for teaching children about it from the earliest possible age. Pre-school years are a critical period for children’s learning. Providing strong foundations in this early period can greatly improve your child’s future achievements. Music can make a hugely important contribution to your child’s future, so choose a qualified teacher who understands early child development.